Creativity gets me. Over the top creativity, Gotta Love No. 17. 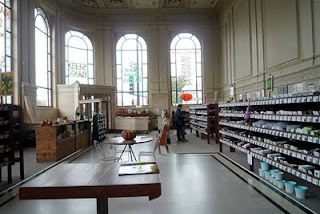 I am loving the concept of the Petaluma, California location of Baker Creek Heirloom Seeds. 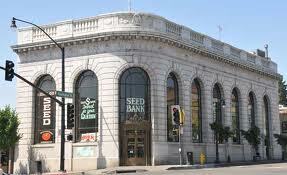 It is located in a 1920's Roman Renaissance Revival-style old Sonoma County National Bank building. And the name on the front? 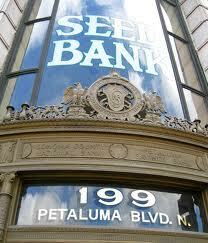 Seed Bank. This building is the ultimate in creativity. Baker Creek Heirloom Seed, located in Mansfield, Missouri was founded by 17 year-old Jere Gettle in 1998, it turn out that there’s very little that’s ordinary about Baker Creek Heirloom Seeds. When Gettle started collecting the seeds of older, rarer varieties of plants and selling them through his mail order business he found that there were gardeners, growers, and small farmers all over the country interested in growing their heirloom crops and antique flowers and Baker Creek Heirloom Seeds quickly had a following. 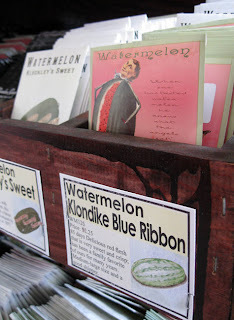 Visit them at www.rareseeds.com for more information. 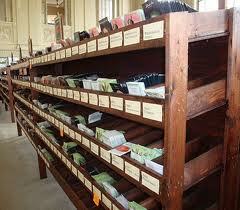 Their seed catalog is a work of art too!